Hi! I’m Lina from a little blog called Fancy Frugal Life. 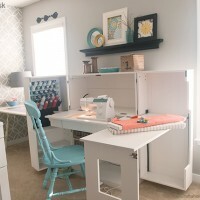 This is where I love to write about all the fun & creative DIY, decorating, crafting, thrifting, and cooking in my life as a stay at home mom of two kids. I like to think I have chic taste on a shabby budget! I was super thrilled when Linda recently asked me to give you a tour of my new entry way closet turned craft closet. My goal was to really maximize the use of this small space while of course making it cute as possible. Using items from Goodwill and things I already had around the house, plus the use of color make this area organized and FUN!Here we go! Before there were folding doors that made it hard to organize. All our coats were in here…but we live in Phoenix and no one used a coat this year! 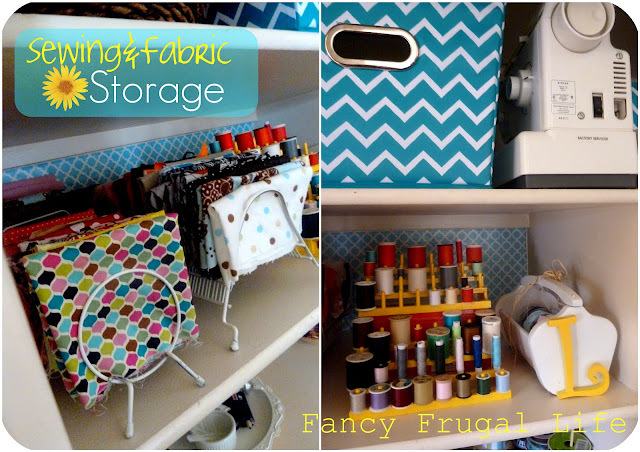 Plus my craft storage consisted of a million Hobby Lobby bags… Since we are renting we safely stored the doors and nothing in here is too permanent. My colors were inspired from this great shelf paper from TJ Maxx. I decided to use it on the walls. It worked out great! Here I hung a towel holder and spray painted S hooks from the hardware store. Yellow pails from the Target dollar bin look fab! I transformed 3 clipboards, and also made a magnetic wood wall piece. The ribbon is hung with a pants hanger. I found this wood wall piece for $5 at Goodwill and loved the cool shape so much. So I decided to paint it with Magnetic Primer from Lowe’s. (A side not: Just throw out your roller after done. It took me an hour to clean my hands and sink after this, and I need to take my wedding ring somewhere for a good cleaning. I also ruined a good brush.) I finished with the Valspar color Egg Yolk. It turned out so bright and cute! 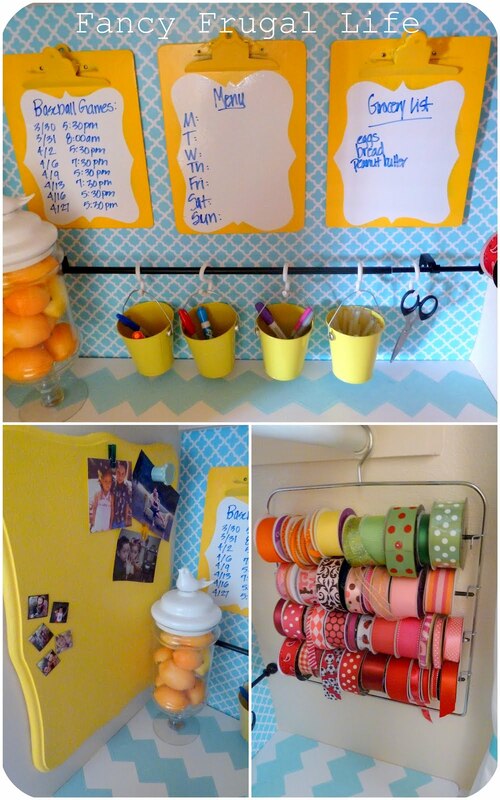 The clipboards I sprayed yellow and then added my adhesive vinyl whiteboard sheets purchased via Pick Your Plum. My husband was nice and made me a little wood work area and even finished it with a rounded edge. I decided to make my own chevron stencil and painted it white and aqua blue. I had this little white shelf and it fit perfectly in there to make it look like a desk. 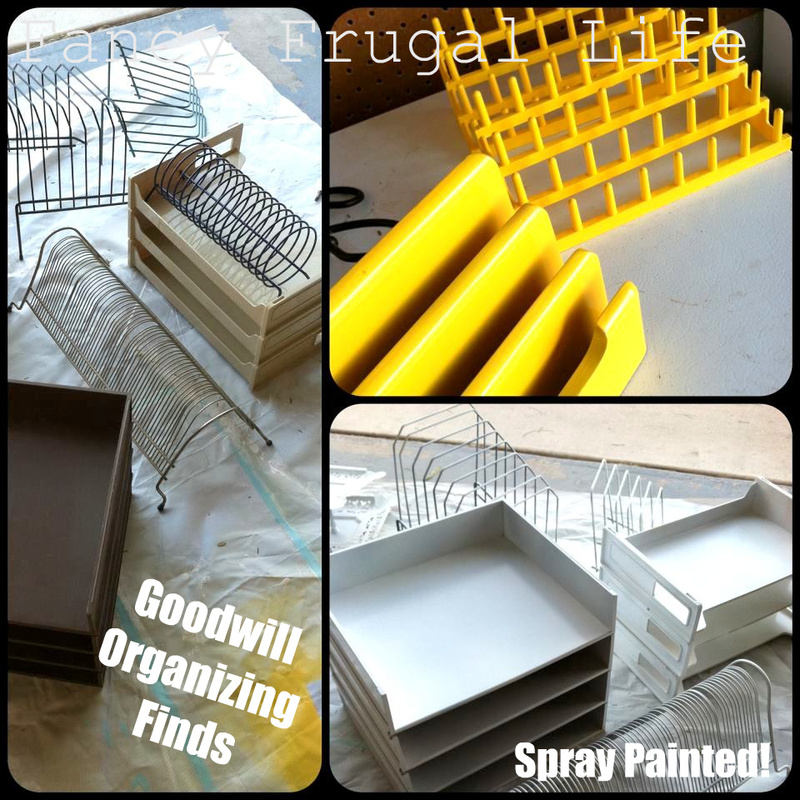 I went to Goodwill and spent about $13 on wire racks and office organizers and sprayed them white. My MIL gave me these thread storage pieces, but they were a yellowing plastic, so I sprayed them bright yellow. 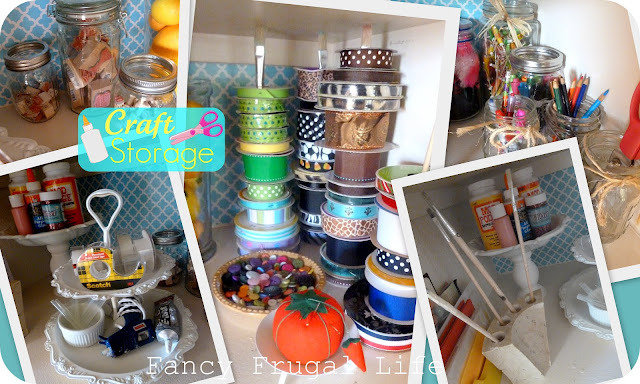 Here’s some more craft storage ideas. 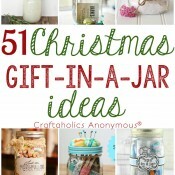 I used a lot of glass mason jars, and paint brushes for stacking ribbon. Notice my old toothbrush holder now holding paint brushes? 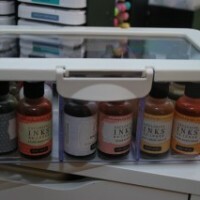 And my Mod Podge & paints on a pedestal? A Goodwill spray painted vintage pedestal stand holds tape & my glue gun. The last thing I did was hang curtains inside from Ikea. I love that everything is where I can see it! Now I won’t waste so much time searching for things….My husband wants to know if I’ll have as much enthusiasm organizing our mess of a clothes closet? Nope!…not so much! Thanks a million for stopping by for a tour. 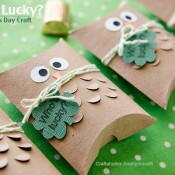 If you liked this post I hope you’ll join me at Fancy Frugal Life and on Facebook or Twitter. Thanks, Lina! love all the great colors you chose. If you’re looking for more ideas for organizing your craft room, check out the list of Craft Room tours featured here. That is so inspiring! 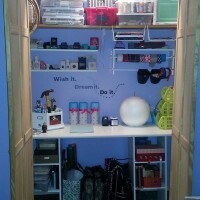 Maybe one day I could turn the clothes closet in our soon-to-be homeschool room into a crafting space…hmmm. p.s. Lina: could you come to my house and help me outfit my homeschool room? Wow, that is amazing! I love that so much of what she used was thrifted or given to her; such imagination! Thanks for the inspiration. So many great ideas! 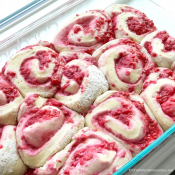 I love the pant hanger for holding your rolls of ribbon! 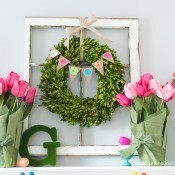 I need to do that with my jumble mess of ribbon! I am adoring your hard work and jealous all at the same time. 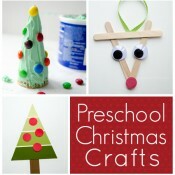 :) What innovative ways to organize all those little craft pieces. Your space looks fabulous! I’m pretty sure you should spend a week straight just having fun in there!!!! Okay, that is so darn cute! 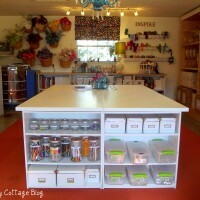 If I could make my whole office/craft room look like that, I would be so inspired working like that everyday! So Awesome! Nice to meet you Lina, im now following your blog! This is great! My husband is building me a large cabinet for our homeschool supplies. This gives me some ideas about how to organize it! Thank you! Oh some very good ideas there…I am in the process of cleaning up a corner of our rec room and re-purposing an armoir for my quilting. 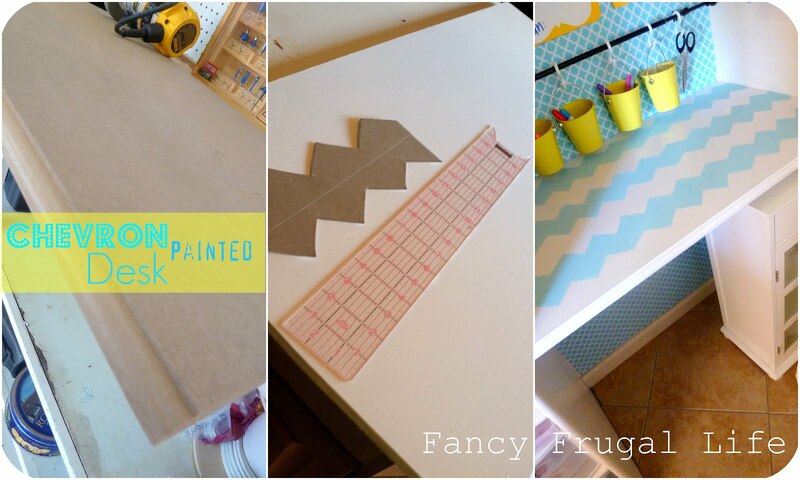 What a great craft area!!!! 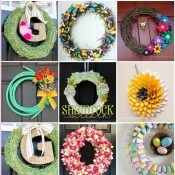 You have such great ideas and I love the colors! Thank you so much for sharing! 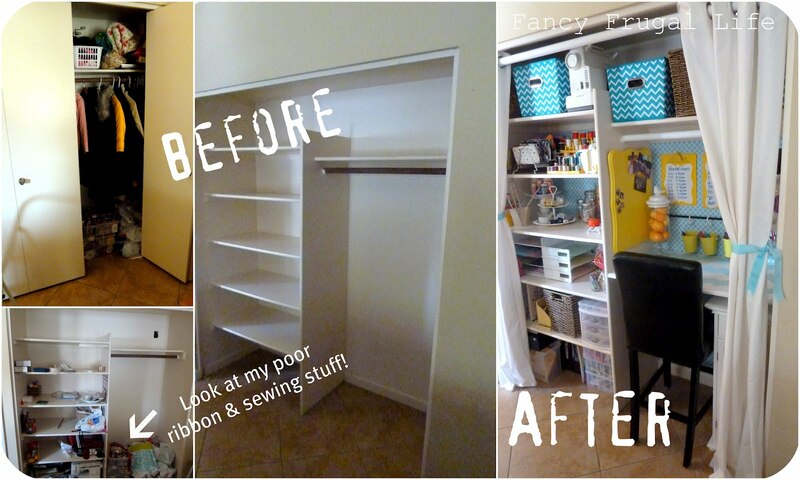 I wish I had my own craft closet/room! VERY cute!! LOVE the pants hanger idea. My husband doesn’t use his pants hanger any more so I may just steal it for my growing ribbon collection! Pants hanger for ribbons is genius!! I love the way this turned out. 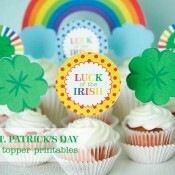 So cute and bright and cheery…great job!! 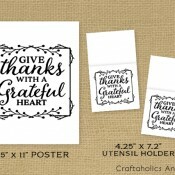 I just saw that shelf paper at TJMax and almost bought! I love what you did with it. Excellent use of space! Super cute! I spray painted my thread holder yellow, too. 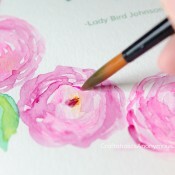 =) But would love to paint more all the same color–what a great thrifty way to have everything matching!! 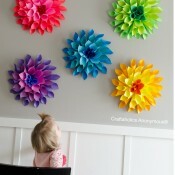 I love the idea and the colors! 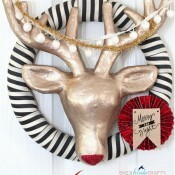 I will try to create something similar, I really need it! This is fabulous! 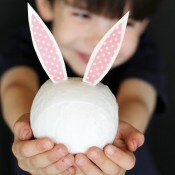 I see some terrific ideas here! I especially love the clipboard memo boards…I may have to utilize that idea at my work office…..and the wire organizers for fabric is also awesome. Great job with such a small space! All I can say is WOW. I’m currently settling into a new apartment and have turned my dining room into a craft room and have been looking for ideas on how to set it up – I don’t need a dining room for me alone. I have many of the items you shared and the dollar stores here will likely have many of the items I need and being on a fixed limited disability pension, I love your ideas – though pinks will be my colour :) I have items here I can use instead of buying everything new, but thank you for the great ideas! 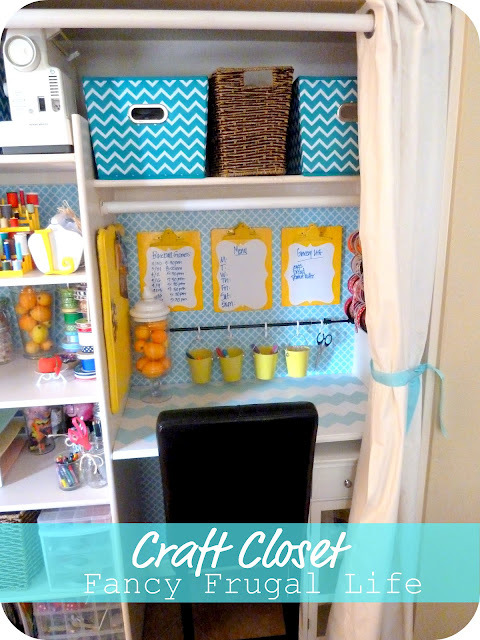 Oh my gosh…..I have to much craft stuff to do this with but I so want to take my office and and put it in my closet like that….I love it. Thank you so much for sharing this! I am a big fan of using what you have and repurposing and you have given me some great ideas on organizing my nightmare of a craft room! Thanks again! Linda, I loved it. Congratulations!